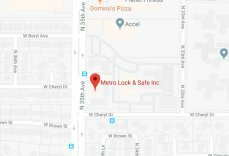 Maryvale Village Locksmith | Metro Lock & Safe Inc. Try the best locksmith in Phoenix! Enter Metro Lock & Safe Inc. We’re different than them! The other guys take their time to get to you. We don’t. Feel free to hold us to the highest possible standards! As one of the first neighborhoods in Phoenix, Maryvale Village has a larger population than many full-fledged cities in Arizona and the rest of the United States with a population of approximately 210,000 people. While some people feel uneasy about some of the more recent violent crime, residents claim that these are mostly isolated incidents. The area is home to several public schools such as Trevor G. Browne High School and Maryvale High School near the popular Maryvale Stadium where the Brewers have Spring Training Games. But there are plenty of other things to do around the neighborhood too. Grand Canyon University Golf Course is one of the higher-rated gold courses in the Phoenix area with 18 holes of well-kept greenery. And as much fun as it is to visit the open-air venue at Ak-Chin Pavillion, it’s still not a place where you’d want to be locked out of your car. But if that ever happens, know that you have a local locksmith close by who will make sure to get you on your way!